Chemical peels benefit and rejuvenate the skin of men and women of all ages. The best candidates are often those with fair, thin skin that has a tendency of fine wrinkling or scarring on the face. Deeper chemical peels are usually not recommended for highly pigmented skin, such as those with Asian, black, and Mediterranean complexions. 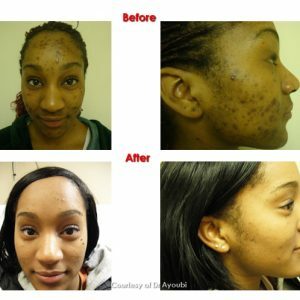 The before and after photos above are just an example of Chemical Peel For Acne. 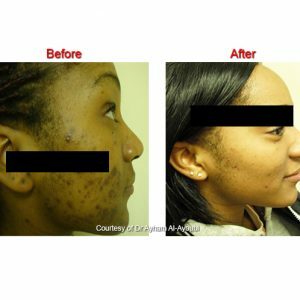 The results are various from one patient to another and there is no guarantee that all patients who will have chemical peel for acne will have similar results. Chemical peel acne treatments exfoliate the skin and allow dead skin cells and excess oils to be removed more effectively. Obagi Nu Derm Skin Care Rejuvenation System which is the number one prescribed treatment in the UK for erasing uneven colour and reducing wrinkles. TCA skin peel is designed to fight the most noticeable signs of photo ageing, such as little lines and dry, uneven skin tone. This peel can also be used to treat acne scarring and areas on the hands, forearms and neck. Phenol skin peel is a highly effective chemical peel with very long lasting results. This is suitable for patients who suffer from sun-damaged skin, or from pronounced facial wrinkles or blotches. It treats crow’s feet lines and any crinkly skin around the eyes and upper and lower lips. In the early 1950s, the phenol peel was developed. 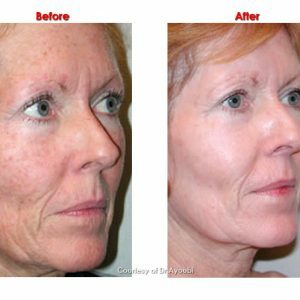 This was a deep chemical peel that could remove years of wrinkles, but also gave peeling a reputation for complications, such as pigmentation, depigmentation, scarring and even abnormal heart rhythms due to absorption of the deep chemical peels. After the chemical peel the patient’s skin will be noticeably smoother and the complexion will be greatly improved. Chemical peel will produce dramatic improvement in the surface of the skin with less wrinkles, fewer blemishes and even-toned skin. The results are long-lasting although not immune to aging and sun exposure. Cleopatra and the ancient Romans used various food acids to peel their skin. In the early 1900s, women underwent ‘non-medical’ peels in salons with secret formulae, which were probably mild acids. During the consultation our experienced staff will advise our patients on what types of chemical peel are most suitable to address their condition and how many chemical peel treatments are required. The skin is the largest organ of the human body and is constantly exposed to the sun, wind and other external elements can have an adverse impact on the skin over the years. There are several facial peel treatments that are meant to accelerate the removal of old dead cells on the surface of the skin. They are meant to bring forth the softer and smoother skin below. These peel treatments are gentle compared to the laser resurfacing techniques administered nowadays. A chemical peel is a skin treatment which is used to improve and smooth out the surface of the facial skin. A chemical solution is applied to the face to peel off the top layers of skin which leads to smoother, healthier new skin growth which appears less wrinkled than the old skin. The TCA skin peel also known as the trichloroacetic acid peel is designed to fight the most noticeable signs of photo ageing, such as little lines and dry, uneven skin tone. This peel can also be used to treat acne scarring and areas on the hands, forearms and neck. The TCA chemical peel uses a chemical solution to remove damaged outer layers of skin and reveal the smoother, clearer skin beneath. Fine lines, uneven pigmentation, blemishes and other problems can make us look older than we are. Chemical peels address these problems by removing the outer layer of skin and revealing a younger-looking skin below. Chemical peels vary in their effectiveness depending on the depth of the peel. There are three main types of peel; superficial, medium and deep. TCA skin peels have been used for over one hundred years to reduce the appearance of fine lines, wrinkles, blemishes and scarring. TCA, or trichloroacetic acid, is used in combination with other acids to remove the skin’s surface layers. The new skin that grows after the TCA peel is firmer, smoother and more even in tone. TCA, or trichloroacetic acid, isn’t the only ingredient used in many TCA skin peels. Early TCA peels were 50% TCA, a strong concentration that proved to carry too much risk of scarring and disfigurement. Modern solutions typically contain no more than 35% TCA. Many TCA skin peel solutions, especially those designed for use at home, contain much less TCA, usually 8 to 12%. TCA peel solutions often contain many of the gentler acids used in mild skin peels. Glycolic acid is often used in TCA skin peels. CO2, or dry ice, may be used in TCA peels. Jessner’s solution, which contains lactic acid, salicylic acid and resorcinol, is also often combined with TCA for a more effective medium skin peel. Doctors might perform a mild peel with AHAs, salicylic acid, glycolic acid or pyruvic acid before performing a TCA peel, just to make the TCA skin peel more effective. There are three main types of peel; superficial, medium and deep. The superficial removes the outer epidermal layer of skin to produce a brighter/fresher appearance, reduce fine lines and improve the appearance of pigmentation and acne scarring. Usual peeling agents include Alpha Hydroxy Acids (AHA's) such as glycolic acid. Medium depth peels (trichloroacetic acid peels) produce a medium-depth peel. They are more effective at removing fine lines, pigmentary changes and acne scarring. They will cause swelling and a scab will form over the treated area. Recovery from a TCA peel typically takes a week to ten days. Chemical peels are often performed in conjunction with a face lift to deal with fine lines and wrinkles not addressed by the surgical procedure especially around the mouth. Deep chemical peels will treat deeper wrinkles but are associated with an increased risk of complications as well as a much longer recovery time. A chemical solution is used to remove top layers of skin which allows the dead surface skin to peel off. The peeling process leads to new skin growth which is usually smoother, healthier and less wrinkled compared to the old skin. Chemical peels should only be performed by aesthetic professionals. During your consultation at London Medical & Aesthetic Clinic, our experienced staff will advise you on what types of chemical peel are most suitable to address your condition and how many chemical peel treatments are required. Chemical peels are suitable for all skin types, both men and woman. Acne- chemical peel acne treatments exfoliate the skin and allow dead skin cells and excess oils to be removed more effectively. This action unblocks hair follicles and pores and reduces the appearance of pimples, improving the overall skin texture in people with acne. Fine lines and wrinkles-chemical peels can reduce these, especially under the eye area and around the mouth in sun damaged or ageing skin. Rough skin texture- chemical skin peels can improve rough skin texture by increasing the amount of collagen in the upper layer of the skin. Melasma- is a dark skin discoloration which appears as patches commonly found on the cheeks, nose, lips, upper lip, and forehead and is common in women who are taking hormonal treatment. A course of chemical peels can lighten the appearance of dark discoloured skin caused by melasma. Hyperpigmentation- caused by excess skin pigment in the skin which can result in uneven skin tone. Chemical peels can lighten and even out the skin tone. Superficial peels are suitable for ethnic skins. However, pigment changes can be caused by a chemical peel in people prone to this complication due to their skin type. People known to develop brown discolouration after injury such as a mild burn should have a test area peeled first before undergoing a full face chemical peel. Scaly patches and rough skin (keratoses) can be removed. Very thick keratoses may need additional treatment for complete removal. Skin that is thin and fragile e.g. sun-damaged skin, bald scalp skin, can be significantly rejuvenated. 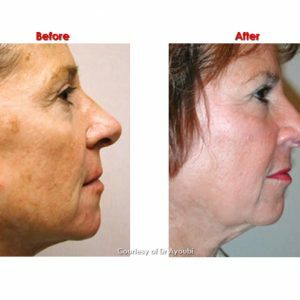 Chemical peeling is not a substitute for a facelift. It does not tighten sagging skin, or remove broken capillaries. Chemical peeling is not appropriate for people who will continue to have excessive sun exposure. Chemical peels can be used on the full face or on specific regions, such as the forehead, around the eyes or mouth, the hands and chest. Although one peel can significantly improve the appearance of the skin, some skin problems are deeper than others and may require a series of peels for best results. As we age, the process of skin cells dying, falling off and being replaced by new cells becomes a slower and more haphazard process. In addition, years of exposure to the sun can cause brown spots and premature aging. The result can be a dull, lifeless complexion. A chemical peel, or series of peels, can rejuvenate the skin. The TCA Peel is one of the most innovative ways to rejuvenate the skin. When it is applied to the skin the top layers of skin cells are peeled off over several days. When the old skin has peeled off, it will expose a new layer of undamaged skin. This layer of skin has a more even colour. This will result in the peel providing deeper penetration, faster recovery and a decreased risk of pigment changes following the peel. If the patient has darker skin, they may also be prescribed a skin bleach to help with possible post peel pigment changes. Whilst the patient is using the pre-peel agents, they must wear a high SPF sunblock and should try to avoid sun exposure if possible. At the London Medical and Aesthetic clinic firstly the skin is thoroughly cleansed with acetone or other cleanser. The acid is then painted onto the face and monitored. If burning or stinging is a problem, a cold pack or cold air may be helpful. Usually the treatment is carried out in sections. Patients who find it particularly uncomfortable may choose intravenous anaesthetic, but then would not be able to drive a car for several hours. The function of a chemical peel is to create an even, controlled shedding of several layers of damaged cells.This exposes a new fresh layer of skin with a more even color and a smoother texture. In addition, the peel stimulates new cells to grow, thereby tightening the skin,which decreases wrinkling. A chemical peel also stimulates the growth of new collagen in the skin layers. This is analogous to adding new padding under a worn carpet. If the carpet (or skin) is thin, it easily wrinkles. Chemical peels when combined with other agents, promote thickening of the skin layers and reduction of the wrinkles and creases on the surface. A TCA peel involves cleaning the skin and then applying the TCA chemical to the required depth. This procedure may require 2-3 applications. The TCA Peel is one of the most innovative ways to rejuvenate the skin. When it is applied to the skin the top layers of skin cells are peeled off over several days. When the old skin has peeled off, it will expose a new layer of undamaged skin. This layer of skin has a more even colour. Rather than mixing all of these acids together into one solution, combination TCA skin peels are usually applied in layers. Usually, the gentler acid is applied first. Glycolic acid, salicylic acid, or lactic acid may be allowed to penetrate the patient’s skin for up to two minutes before the skin is neutralised the acid with water. Once the gentler acid has been neutralized, the TCA solution will be applied to the patient’s skin. First, the patient’s skin is cleansed to remove all oils, dirt and soap traces. Then, the chemical is carefully applied to the appropriate areas using a swab applicator. For some, this may be a full-face peel, which would cover the entire face. Others may need a partial peel, such as around the mouth - for those fine, vertical lines, the forehead - for horizontal wrinkles, or on cheeks - for fine wrinkles and age spots. The patient will feel a light burning sensation, which will subside, and experience temporary throbbing. The application has now peeled off the top layer of the patient’s skin to reveal a fresh, new surface skin. The entire procedure usually takes from 15 minutes to an hour depending upon the extent and type of Peel used. A deeper peel using CO2 or Jessner’s solution would be somewhat different. CO2 is applied to the skin and then wiped off with a dry cloth before applying TCA. This allows for a very deep peel. Applying water to the Jessner’s solution dilutes it and minimizes its effectiveness, water would not be applied to neutralize the Jessner’s solution before applying TCA. The Jessner’s solution would be applied and left to penetrate to the right depth, then immediately the TCA solution would be applied. Once the TCA has penetrated to the right depth, both acids would be neutralised with water. Following the peel ice packs will be applied to help to the area to comfort the patient. The skin will initially swell and then begin to feel tight. After 3-4 days the outer layer of skin will crust, the peeling off will take 7-10 days to complete. The patient may experience significant swelling of the area, this is usually at its worst 48-72 hours following the peel however this should settle over the following few days. After a week to ten days, fresher looking skin should be apparent and the patient should be sufficiently healed to resume most of their usual activities. Sleeping with their head elevated on two or more pillows for the first few days is beneficial as this helps to decrease the swelling. Simple painkillers for the first few days following a peel such as paracetamol will help reduce any pain. During the peeling phase the patient should not pick at the crusting or pull it off as they can increase the risk of infection. Like all treatments, chemical peels involve some level of risk. Chemical peels are a normally safe and popular way to treat facial wrinkling and fine scarring. To help ensure a successful outcome, the patient should be a good candidate, the doctor should be well trained in chemical peeling techniques, the clinic facility should be properly equipped and the patient should follow the doctor's instructions and advice. Most people take 5-7 days to heal from an average TCA peel. The skin will look as if it has had a severe sunburn, so most patients choose to stay home during the healing process. If you are not too self-conscious about your appearance, you may be able to work during part of your peel recovery period. While complications are uncommon, patient should discuss the risks and possible side effects with the doctor. Patients should have realistic expectations and realize that the true results may not be apparent for up to a year. Chemical peels can offer softer, smoother skin to those who never thought it was possible. Pain - There is usually no discomfort after the peel, but, in case there is mild discomfort, pain killers can be taken. Redness - A pink or red coloration of the skin may persist for 2-8 weeks after a TCA peel. In rare instances, redness may persist up to six months. This can occur all over or only in certain spots. Wound Healing - The TCA peel causes a superficial wound to the skin that takes approximately 5-7 days to heal. Once the surface is treated, it may be pink and may be sensitive to the sun for approximately 2-8 weeks. 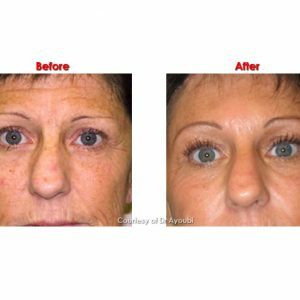 Pigment Changes - The treated area may heal with increased or decreased pigmentation. This occurs most often in darker pigmented skin. The darker or lighter areas usually fades in three to six months, though pigment change can be permanent. Swelling - Immediately after the TCA peel, there will be mild to moderate swelling of the skin. This is a temporary condition and will resolve over two to three days. Sun sensitivity – The patient will be sensitive to the sun for 6-8 weeks after the treatment and will need to protect their skin daily from the sun with sunscreen, hats and sunglasses. Cold Sores - If the patient is prone to herpes (cold sores, fever blisters), they may need a prescription for acyclovir prior to having medium depth Peel. They will need to avoid exfoliating treatments during a herpes breakout. Cold sores can be activated in those prone to this kind of condition. Anti viral medication can prevent this. Increased pigmentation may occur, and resolves with time. It can be largely prevented by religious use of sunscreen for three months after the chemical peel. Scarring - There is a very small chance of scarring. This includes hypertrophic scars or, very rarely, keloid scars. Keloid scars are very heavy, raised scar formations. To minimize chances of scarring, it is important that the patient follows post-operative instructions carefully. It is important that any prior history of unfavourable healing is reported. Scarring can occur with strong acids, but is unusual with weaker ones. The most common causes of scarring are infection, and pulling off the skin before it is ready to chemical peel. Both of these are avoidable. At London Medical and Aesthetic Clinic, we take a special pride in our excellent levels of support and aftercare. We will invite you back to the Clinic for follow-up examinations with the doctor and nursing staff.